The CELL series are a plug and play LED lamp module and LED driver set. They are the perfect solution for residential homes to commercial projects such as hotels, clubs, pubs and bars. Designed not only as a replacement for traditional halogen lamps in most applications, but also as a replaceable LED lamp and driver set for a range of click in frames, as a complete downlight solution. For retrofit, it’s as easy as removing the standard MR16 halogen lamp and transformer and replacing it with the CELL lamp and LED driver. It suits most MR16 downlight frames, depending on height. As a complete lamp and frame solution, simply choose from a range of click in frames on offer to suit the style and décor. Featuring a reflector style lens with a choice of 15°, 24°, 36° or 60° beam angle effects to suit ceiling heights or lighting effects. 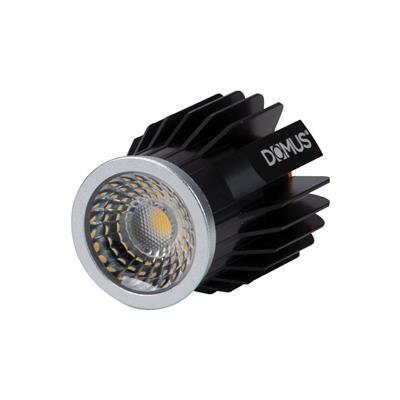 Available in 9W, 13W and 17W options depending on the light intensity required. With the choice of Extra Warm White, Warm White, Neutral White or White colour temperature options to suit the desired light appearance. Complete with dimmable LED driver and flex and plug. Backed by our Three Year Replacement Warranty.